EnviroInsite does allow for the display of MrSID images. The code that processes those images is facilitated by public-domain libraries provided by Celartem, Inc. dba LizardTech. 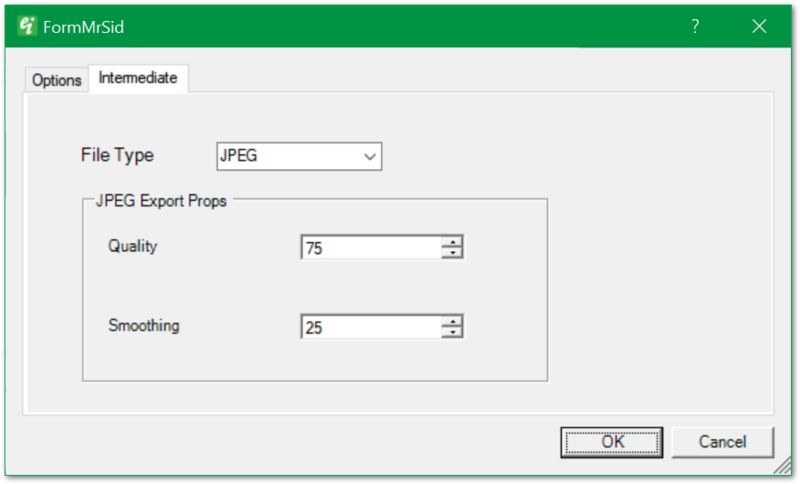 Since MrSID files are routinely greater than one gigabyte, EnviroInsite extracts a user-specified portion of the MrSID image to process to user specifications and writes out an image file in a common format specified by the user. That file is automatically georeferenced and inserted in the EnviroInsite view. View a training video on importing MrSid images here. To insert a MrSID image, select Insert> Image from the main menu and select the image file from the browser. When a MrSID image is selected, the FormMrSID dialog box opens. 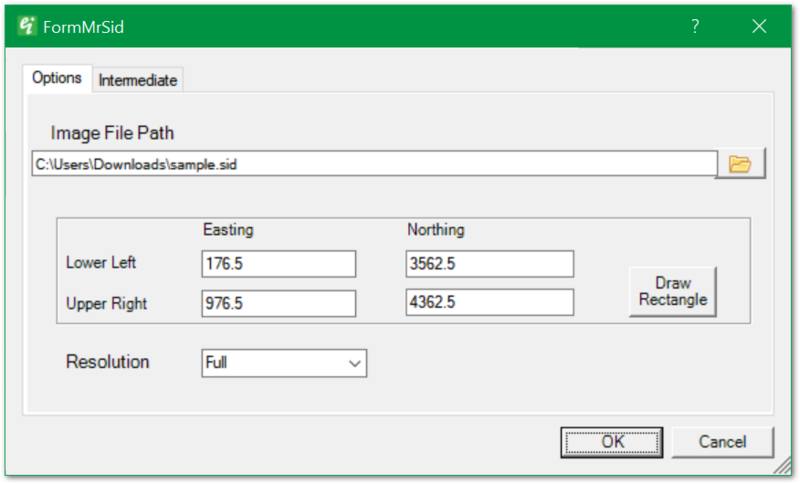 This dialog box allows for modification of the properties of the intermediate file created for insertion in EnviroInsite.